Fix Forward: An increase in income equals an increase in quality of life – or does it? Fix Forward is an innovative social enterprise giving home and business owners access to exceptional artisans from the townships, challenging preconceptions and bridging the economic divide. Having been able to successfully assist a number of talented tradesmen to build their own businesses, Fix Forward believed that their tradesmen were well on their way to become successful and to improve their quality of life. They were surprised to see that in many cases this did not happen. This led to the realisation that they not only needed to set their tradesmen up for success in business, but in life. 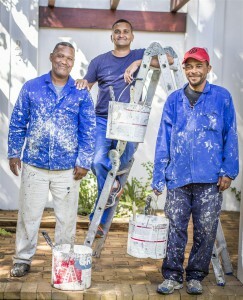 In this learning brief Fix Forward discuss their strategy to support township tradesmen and share their ideas on how to measure the impact of their work. Read more here.